first of all we want to thank you for your enthusiasm and your wonderful help in developing our platform. As you know, we already developed many of our applications and they are ready for business and used by many users. Two months ago we completed our successful ICO, just in the middle of an incredible bearish market. Since then we could see many crypto projects failing or overwhelmed by dumping, which pulverised their token price. Then it was quite a savvy decision to wait for listing. Also now we’re not in the right moment for that, since the market hasn’t yet reached an acceptable balance point. This is then the perfect situation to continue in our development and also to keep our position firmly in order to protect ENK value and our supporters who bought our tokens. In the most suitable market time we’re going to list ENK tokens on some important exchanges. We suppose this process could take other few weeks and we will monitor the trend very carefully for the common interest. Very soon you will be able also to use ENK to buy aQuest tokens (AQU). aQuest is a unique decentralised app that pays you for completing a certain task. Simple as that. It has just entered its pre sale with a 30% bonus. You can find more info on aQuest web site https://www.aquest.io/. 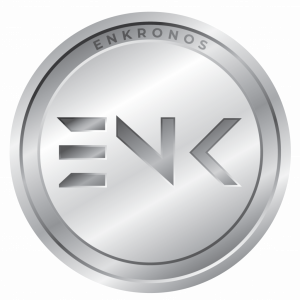 In the meantime now you can buy ENK tokens at the fixed ICO price (1 ENK = 0.003 ETH) directly from our web site in https://content.enkronos.com/product/enk-token/ , paying with credit card, paypal, or the main cryptocurrencies (ETH, BTC, BCH, LTC, USDC). This is the perfect moment to purchase ENK tokens since the market conditions are quite favorable thanks of ETH market value: take advantage of it!